This sugar cookie recipe makes soft, chewy, easy sugar cookies exactly like those puffy, cakey, frosted Lofthouse sugar cookies with sprinkles found in crinkly plastic packages in the bakery of your local grocery store. 1. In a large bowl, whisk together the flour, baking powder, baking soda, cream of tartar, and salt. 2. In another large bowl using a handheld or stand mixer fitted with a paddle attachment on medium speed, beat the butter and granulated sugar together until pale and fluffy, 2 to 3 minutes. Add the egg and mix until combined, scraping down the sides of the bowl as needed. Add the vanilla and beat on medium speed for 2 minutes. Reduce the speed to low and slowly add the dry ingredients to the wet ingredients, mixing just until everything is incorporated. Do not overmix. 4. Preheat the oven to 350°F (180°C). Line 2 large baking sheets with parchment paper or silicone baking mats. 6. Using a handheld or stand mixer fitted with a paddle attachment, beat the butter in a medium bowl on medium speed until fluffy, about 2 minutes. Switch to low speed and gradually add the confectioners’ sugar and beat for 1 minute. Add the vanilla and heavy cream, kick it up to medium speed, and beat for 2 minutes. Swipe a finger through the frosting and taste. You can add more cream if the frosting seems too thick or a pinch of salt if the frosting seems too sweet. 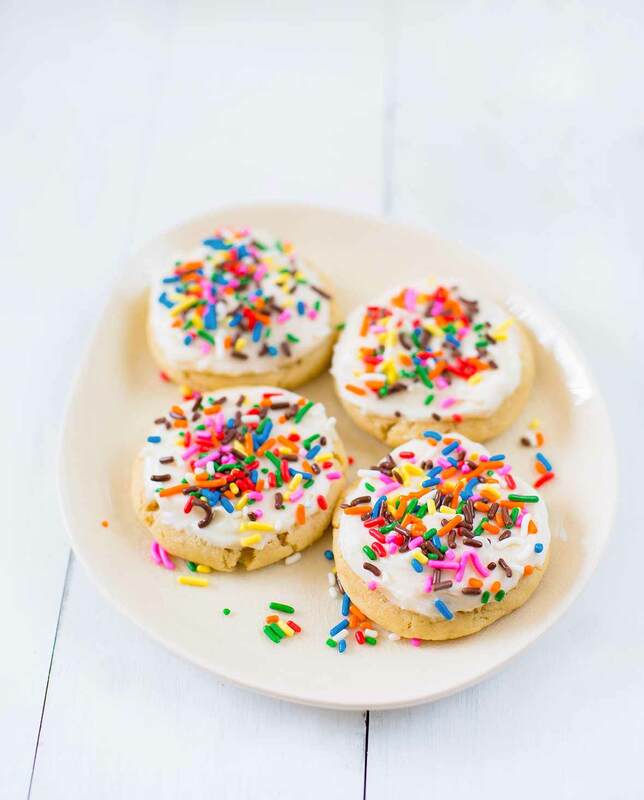 Try adding a few drops of liquid food coloring to the frosting and bring the Lofthouse sugar cookies along to showers, birthdays, or holiday parties. You can also experiment with different extracts in the dough like almond, coconut, or lemon depending on your favorite flavors. This big, chewy, buttery, soft sugar cookie recipe melts in your mouth with each bite. In regards to the amount of frosting, I think that's more of a personal preference. I don't like a lot of icing on cookies because it seems to take away from the cookies, so just a thin layer is sufficient for me. This recipe made a lot of frosting that I just didn't end up using. My yield was 12 cookies. The next time I make these, I'll just make a thinner frosting as an accent on top instead of a thick icing. I've already made this recipe several times. 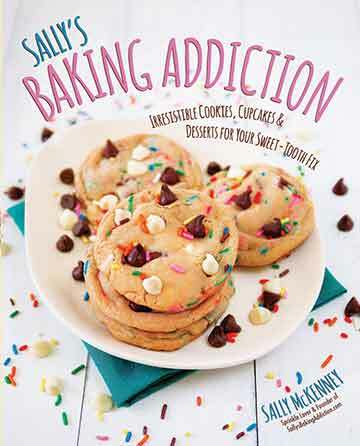 It's a fantastic cookie recipe and has gotten a lot of positive feedback from family and friends. Sugar Cookies Recipe © 2014 Sally McKenney. Photo © 2014 Sally McKenney. All rights reserved. All recipes and photos used with permission of the publisher.